CARACAS, Venezuela (AP) — Venezuelan authorities detained the acting president of Citgo, the state-owned oil company’s U.S. subsidiary, and five other executives for their alleged involvement in a corruption scheme, officials said Tuesday. Jose Pereira and five Citgo vice presidents have been detained on suspicion of embezzlement stemming from a $4 billion agreement to refinance company bonds, chief prosecutor Tarek William Saab said. Saab said the deal provided “unconscionable and unfavorable” terms for state oil giant PDVSA and offered Citgo itself as a guarantee on repayment without prior government approval. Mediators of the contract were purportedly eligible for a 1.5 percent payoff of the total. President Nicola Maduro called the thefts blatant and he urged employees of the state-run oil company to stand with him in the fight against corruption and attacks from the U.S. government. The detentions are part of an investigation by Venezuelan authorities into the country’s oil sector, which has struggled in recent years amid mismanagement and declining production. 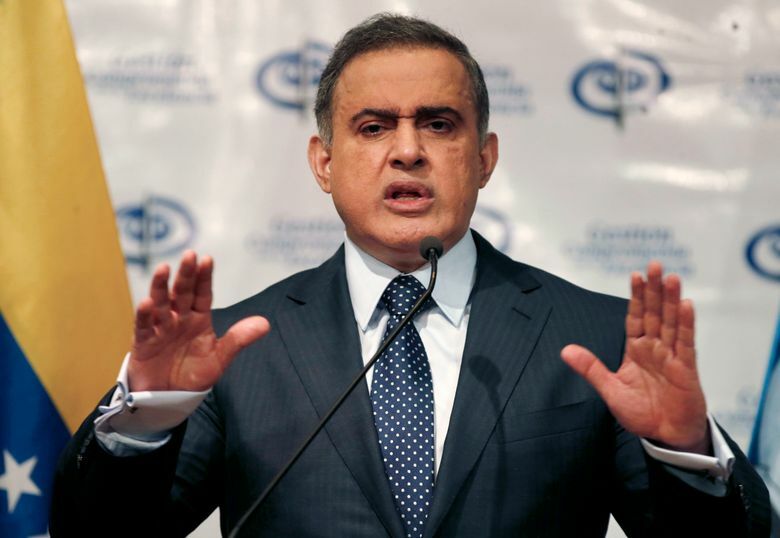 Thus far, Saab’s office has made nearly 60 arrests related to alleged corruption involving PDVSA, including many senior managers of the state-run firm and subsidiaries in Venezuela and the United States. Citgo runs three refineries in Illinois, Texas and Louisiana. Officials at Houston-based Citgo distanced themselves from the arrests, saying in a statement that the firm operates independently and meets the standards and regulations set by the United States. The company adds that it is closely monitoring the situation. Some 10 individuals have pleaded guilty for their role in the payment of bribes and kickbacks, and U.S. federal officials in October arrested four high-ranking officials, including at least two aides to Venezuela’s ambassador to the United Nations. Venezuela has struggled to crawl out of economic ruin amid triple-digit inflation, food and medical shortages and a decline oil prices. Maduro recently announced his plan to renegotiate foreign debt that he said had become impossible to pay because of a U.S.-led financial “blockade” against the socialist nation, though he has offered few details to investors on how he plans to do that. The Venezuelan government and PDVSA officially defaulted on billions of dollars’ worth of bonds earlier this month. The International Swaps and Derivatives Association, a group of banks and brokers that determine whether an entity like Venezuela has failed to make on-time payments on its debts, recently voted to say that Venezuela had defaulted. Two other rating agencies — Fitch and Standard & Poor’s — have also determined that Venezuela’s government is in default.